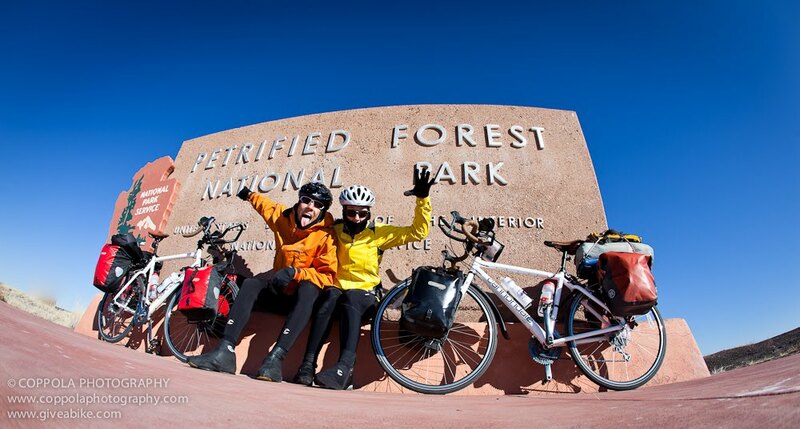 Newleyweds on a quest to ride around all 50 US States – Go Bicycle Touring! Newlyweds Adam and Christy Coppola are beginning married life on a year-long charity bike ride around the United States. Adam, who’s a photojournalist, and Christy, a writer, are documenting their experiences to raise awareness for the charities they support, World Bicycle Relief and Achilles International. If you want to experience the diversity of America without setting a foot out of the house, this is the blog for you. The couple is on a quest to complete a bike tour of all 50 US states in one calendar year. During their bicycle tour around America, Adam and Christy will make presentations, have ride-a-longs and hold meet-and-greets to spread the word about their causes. So I’m not sure what was more frustrating yesterday, the fact that we went five hours without eating, or the fact that when we finally got to the most beautiful part of the National Park, the Painted Desert, we we’re so grumpy from hunger that we couldn’t enjoy it as much as we’d have liked. The last six miles of the 28 mile stretch in the park were torturous as we could see the restaurant and almost smell the food, but the road swung around and out and over and under before finally turning back towards the restaurant. 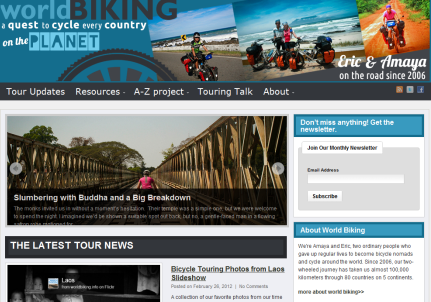 Adam and Christy’s US bike tour began in January 2011, so you haven’t missed much of the adventure. 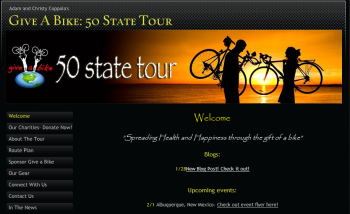 Check out the Give a Bike blog and share all the crazy moments, humorous blunders, and emotional experiences of a 50 state tour.